As a Fedora Community Member, I always feel guilty if I postpone trying out a testing release of Fedora. Since I have a limited amount of hardware, I can’t just install on a physical machine. Turns out that testing on a virtual machine is about as easy as it can be. 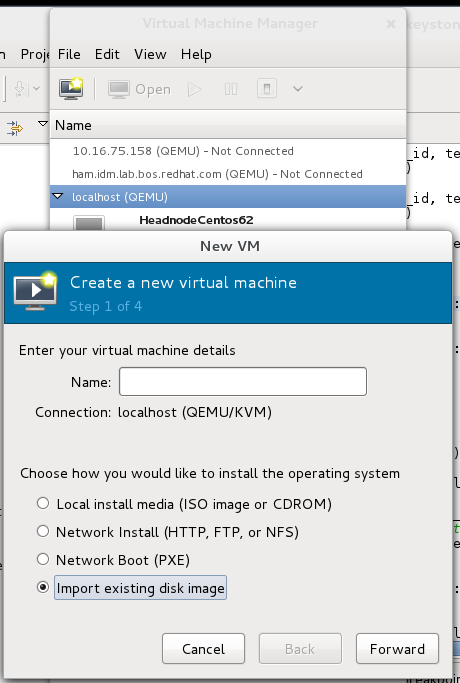 The following works well on Fedora 16 running KVM. Add a new virtual machine, and select Import Existing Disk Image. Give the VM a name and click Forward. Find the virtual machine. If you downloaded it to the default location, you’ll have to select Browse, and then Browse Local. You can click through to the end of the wizard now if you want. The select boxes for OS Type and Version will have no real effect. Take the default for memory and CPUs, or increase them if you really want. Click finish and your VM should be booting shortly. 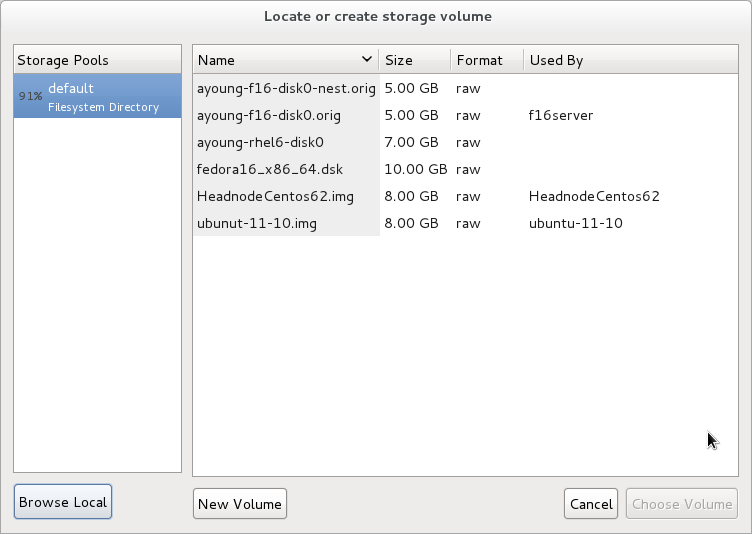 Now you really have no reason not to try out Fedora 17. 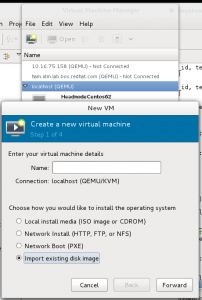 This entry was posted in Virtualization by Adam Young. Bookmark the permalink. For alpha/beta releases, I usually try to avoid virt-manager due to the possibility of crashes. Instead I go the minimal route via virt-install.